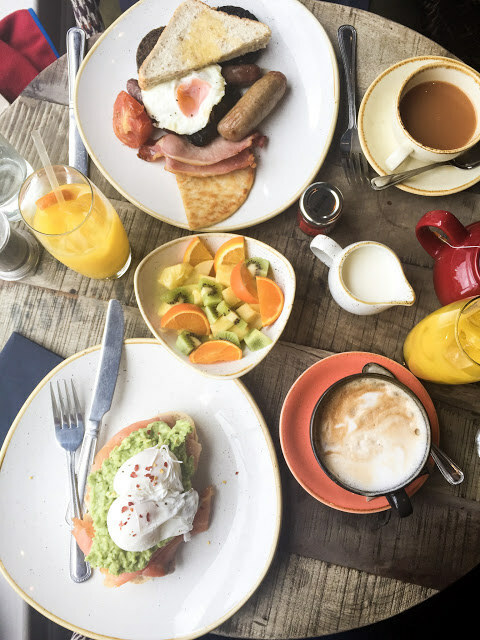 Is there anything in the world more indulgent than waking after a long lie on a Sunday, getting yourself down to your local and settling in for a slap-up brunch? Whether you like your Sundays lazy or hazy, The Huxley has you covered with a brunch menu jam packed with everything from cult classics to contemporary favourites. When only good old bacon, sausages and eggs will do, you will find all the usual suspects to be in fine form here on our Full Breakfast Hash (Pork sausage, bacon, potato scone, mushroom, tomato, fried egg, chipotle yoghurt, grilled sourdough) or the Huxley Huf-Huffin (Lorne sausage, bacon jam, fried egg, in a toasted muffin). Even good old Beans on Toast gets The Huxley treatment with homemade beans and maple bacon wrapped sourdough. For a meaty twist on a classic, our Roast Beef Croque Monsieur is enhanced with rib of beef, Applewood smoked cheddar and a fried egg. Alternatively, opt for all out decadence with a Sloppy Cheese Joe – Cheese toast, pulled pork, Swiss cheese, caramelised onions, hand cut chips – a proper hunger buster! If a full meat and carb fest isn’t for you, we have lots of healthy and vegetarian options too. Our Mango and Chia pudding with coconut and dragon fruit is fresh, delicious and guilt-fee, weighing in at a healthy 212 calories. Our Toasted Glazert salad is a firm veggie favourite, combining butternut squash, courgette, toasted almonds and pickled pomegranate. We have paired our brunch with a range of drinks befitting the variety and quality of The Huxley’s food offering. Give your body a boost with our range of fruit and green juices. The ‘Super Green’ is a powerful, freshly blended mixture of spinach, avocado, apple, spirulina, basil and lime that is sure to set you up for the day ahead! When there’s nothing else for it, we have the perfect Sunday cocktails for you too! A classic Bloody Mary, Espresso Martini and Mimosa sit alongside our eclectic cocktail and spirits list. Let our talented bartenders shake you up something soothing. You can view our full menu here and enjoy brunch at The Huxley every Sunday from 12pm-5pm. See you there!